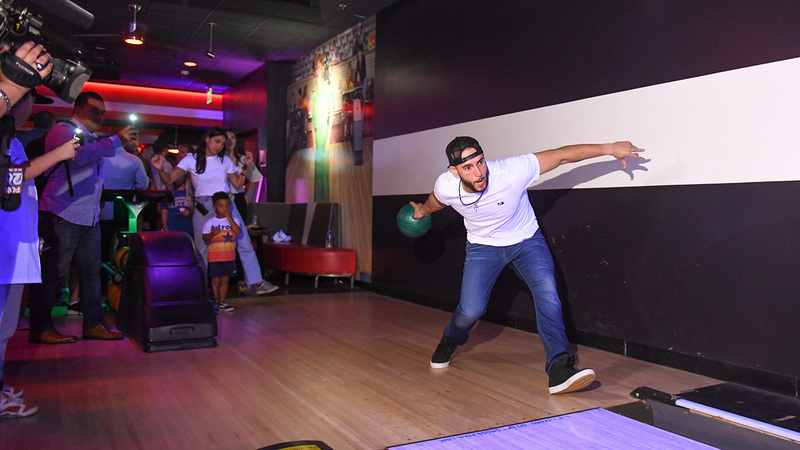 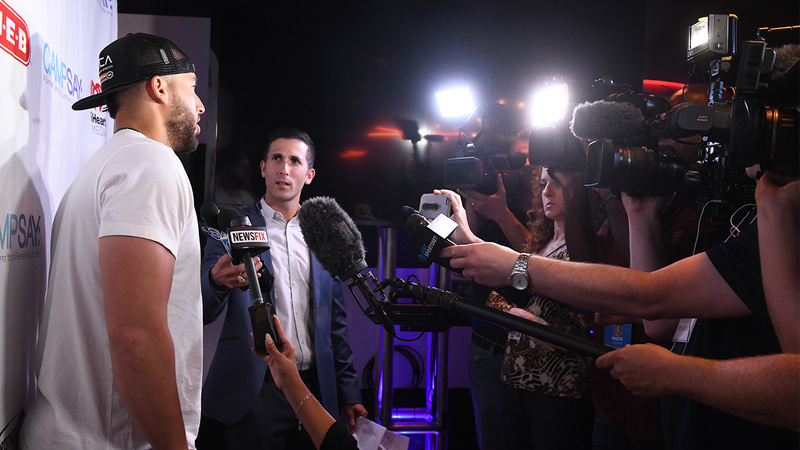 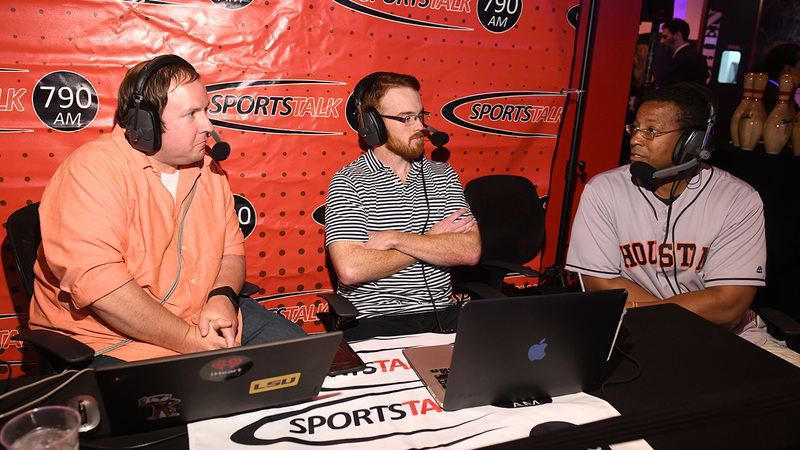 George Springer’s Fourth Annual All-Star Bowling Benefit was hosted on Sunday, July 8, 2018, at Bowlmor, Houston, TX. 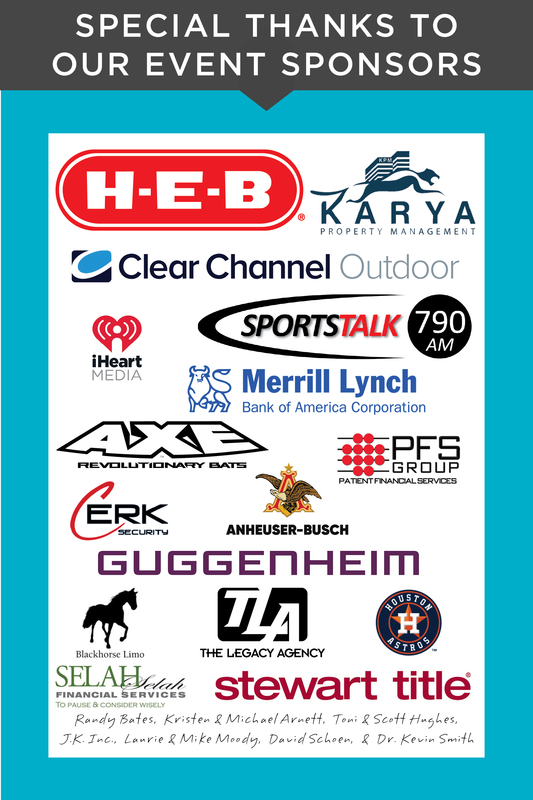 Proceeds help send children from families-in-need to Camp SAY: a summer camp for young people who stutter. 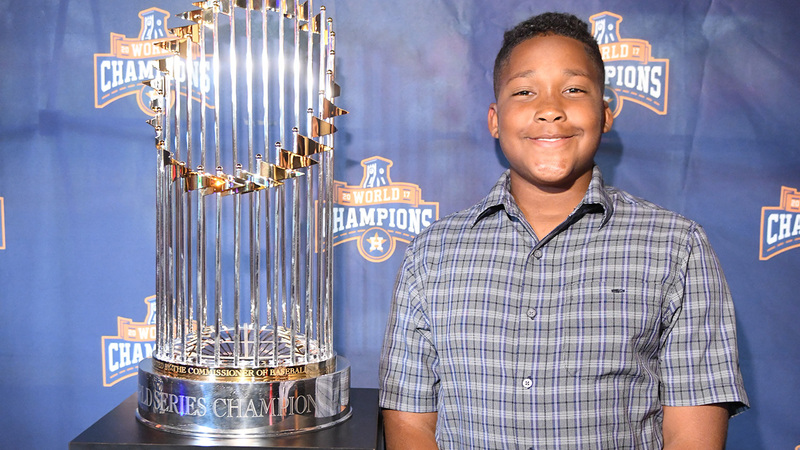 ￼￼￼￼￼￼￼￼￼￼￼￼￼￼Click here to learn more about Camp SAY. 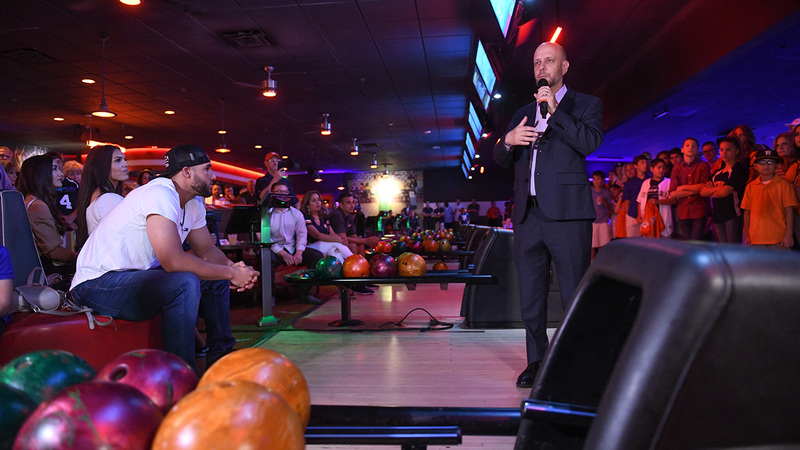 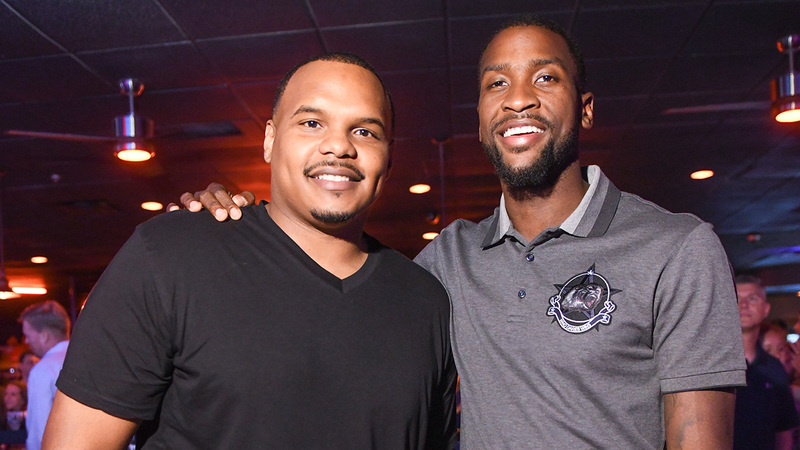 Supporters joined us for Cocktail Reception with George Springer, Celebrity Lane Captains, and fellow Astros, other pro athletes, for a memorable night of bowling fun. 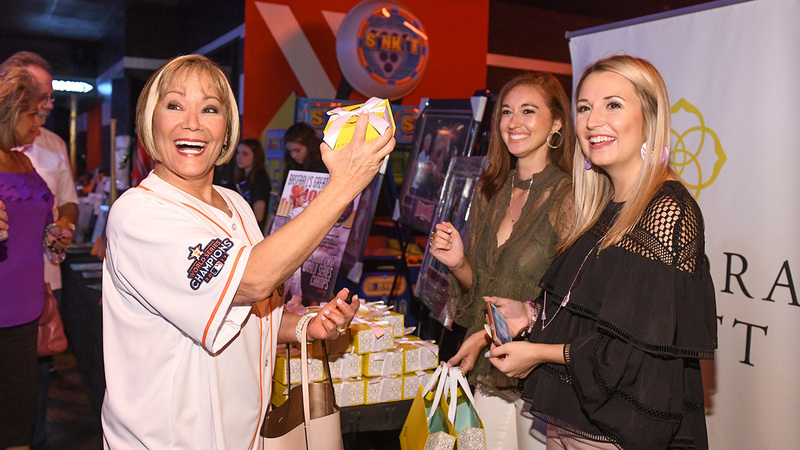 Honorary Chair: Dr Carolyn Farb, h.c.
Join George Springer to support families-in-need by making a tax-deductible donation to The George Springer Kids Fund by clicking the button below. 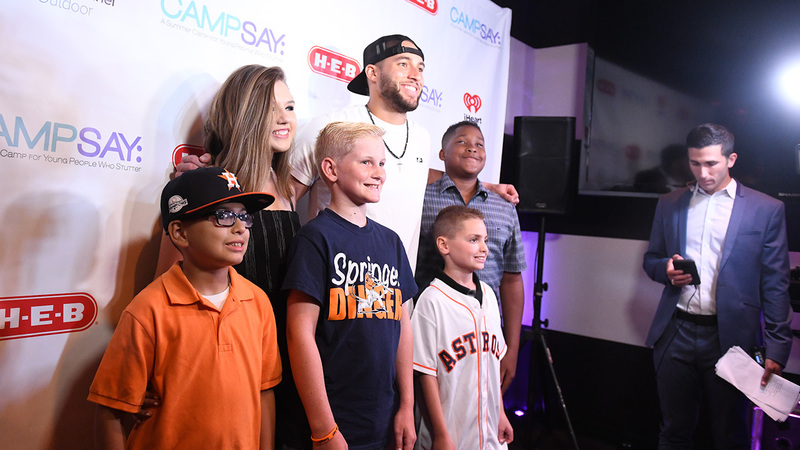 George Springer has been our national spokesperson since 2014, and as the 2017 World Series Champion and Series MVP, he inspires kids who stutter everywhere – reminding them that they can achieve anything they dream of doing! 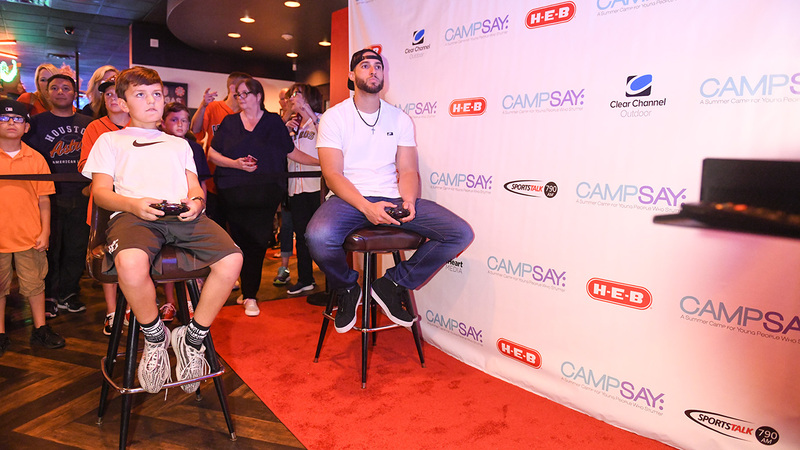 Tuition for camp is completely underwritten by the proceeds from George Springer’s Annual Bowling Benefit. 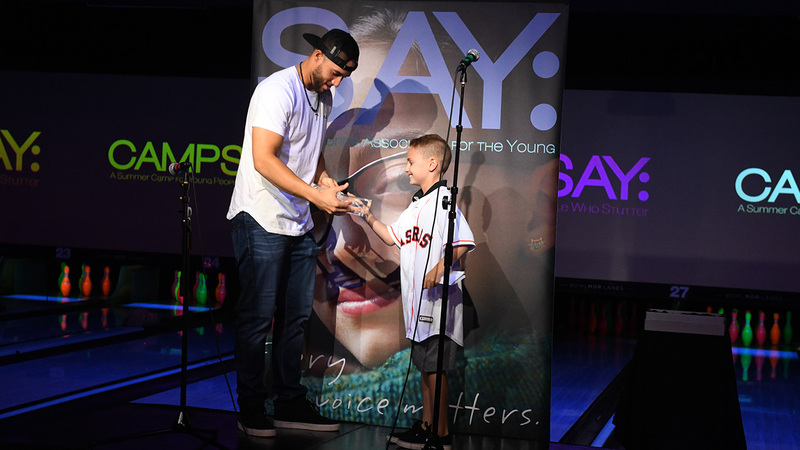 Camp SAY is a program of The Stuttering Association for the Young, a registered 501(c)(3) non-profit organization. 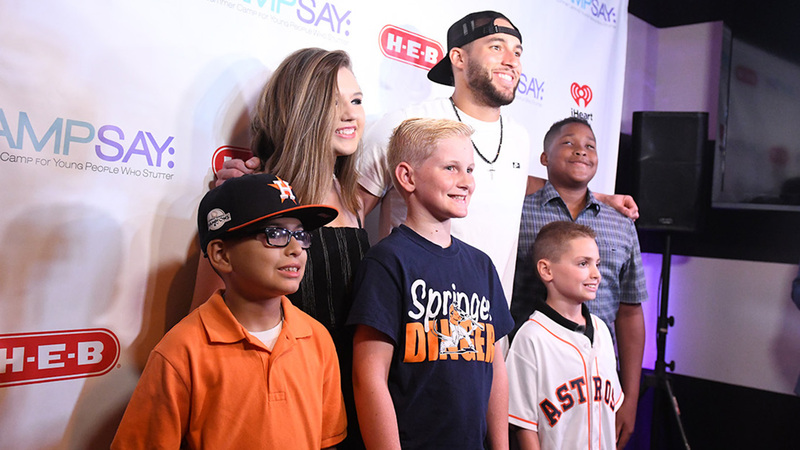 Marie & George Springer, Jr.